Greenwave Plumbing has the skills and service to provide comprehensive plumbing solutions for any residential plumbing issues. Providing plumbing for Austin, Buda, Kyle, Lockhart, Pflugerville and Round Rock; Greenwave is committed to offering the best plumbing available. Our well-trained technicians keep up to date on the latest advances in plumbing technology so that we may pass those advances onto our customers. From a simple equipment cleaning to complex sewer troubleshooting, your pipes are safe in our hands. Why should you choose Greenwave Plumbing? Greenwave Plumbing has over 20 years of experience with residential plumbing. Let us bring our craft to help in your home. Greenwave Plumbing is family owned and operated. We treat all of our happy customers the same way we treat our own family. Our staff is committed to providing the best customer service in Texas. We’re so proud of our work, we guarantee the quality of all of our plumbing services. Plumbing fixtures in your home include toilets, faucets, sinks and showers. With time, your plumbing fixtures may need repair. 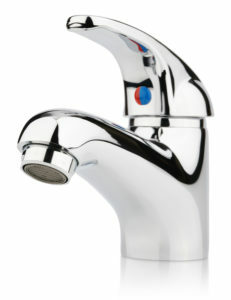 Problems include clogs, slow water pressure, leaks, and overall functionality issues. The experts at Greenwave have the tools to diagnose and repair all plumbing fixture issues, and can replace your dated plumbing fixtures if necessary. Drain issues can be line stoppage, or breaks in the line. Stoppages are caused by waste debris like toilet paper becoming lodged in a pipe, food grease buildup, roots in a line, and line breaks. Signs of drain stoppages include bad smells, toilet and drain backups, toilets making gurgling or bubbling sounds, and water in your yard. Most stoppages are cured using a drain machine, which is a thick steel cable with a cutting end on it, strong enough to cut through roots. That’s where the term rooter comes from. Some stoppage require excavation and replacement of sewer line. Breaks in the sewer lines can be caused by your house leveling, root growth, or the ground shifting. Signs of a drain line break are sewer odors, water seepage from the baseboards or floors, warped flooring, and cracks in your slab. If you suspect a broken drain line, it should be serviced by a licensed plumber immediately. Like water leaks, only worse, due to the unsanitary condition, drain line leaks can cause foundation damage, and ruin your yard and flooring! Greenwave Plumbers will inspect your drains, inform you of any problems, offer a repair estimate, and always guarantee our service. Disposals are powerful grinders that can save you time cleaning the food debris out of your sink. Simply turn on some hot water and flick the switch. However, items like utensils can fall into and get caught in your garbage disposal. It is important to have a professional clear disposals, in order to prevent any potential serious injuries. Disposals can get jammed or simply wear out over time and need to be replaced. A plumber can determine if replacement is necessary. Water treatment systems include water softeners, water filters, and reverse osmosis systems all intended to improve the quality of your tap water. We offer expert water treatment installation services that will tackle water quality issues all throughout your home. Whether you are looking for an in facet filter or a whole house system, we are here to help. A sewer camera is a length of cable with a camera and light on the tip. It is sent down your drainage system piping in order to look for broken lines and stoppages. When the camera finds the problem, we can use a locator to pinpoint the location of the camera, which has a beacon on the head. This will give us the location and depth of the break or stoppage, and allow a more accurate assessment of repairs. In some situations, it may be necessary to cap off a broken water line, and run a new line through the walls or attic space. This is called a pipe reroute. Reroutes are a less invasive and less expensive alternative to slab repairs. Waiting can make plumbing issues worse. Get started now! Your gas system is composed of piping running from your service meter into your home, and branching off to various fixtures in your house. All three of these systems are composed of various piping types, and can leak. When this happens, you need a quality plumber who knows how to find and repair those leaks, before they can cause serious damage to your home. That’s where we come in. Greenwave Plumbing has the experience and skills necessary to get any job done quickly and correctly, the first time. How can I tell if I have a gas leak? If you’re experiencing any of the following, call us immediately! Since natural gas is odorless and colorless in its natural form, a distinctive odorant called mercaptan is added to help you detect a gas leak. Mercaptan makes the gas smell like sulfur or “rotten eggs”. If you smell a faint gas odor near an appliance, carefully check all pilot lights and contact Greenwave Plumbing immediately!